Power and energy, twisted and yet pure rolled and boiled across the landscape.The blizzard exploded and for a moment the air was clear, raw power radiated from the other woman's being. It was to the point that the quincy seemed to pause, her silver eyes gleaming as she took it all in. It was interesting, the way the signature seemed to violently be at war with itself, not quite quincy, not quite hollow, but somewhere in between vying for battle with itself; trying to see which one would come out on top. This was her first impression of the girls spiritual energy. It was actually so unique that Niflheim for a moment was rendered speechless. Then she took in the mask, which in itself was absolutely . . beautiful in a way. The contrast between the hollow she proudly wore and the quincy she originally was seemed to strike a chord deep within the elects chest, and she felt comfortable with paying the favor back, this was why as Niflheim watched and listened she simply let her smile remain, the blizzard slowly beginning to resume while she started off with her decision. She seemed to pause and exhale, debating how she was going to do this, or rather how Far She was going to go, given her own powers were unique in their potential, but also in their price. Going to far would have. . . drawbacks later down the road she simply couldn’t afford to allow to transpire. Yet she wanted to share with her, as she had shown her the uniqueness and well the beauty of her own power, she simply couldn’t leave that sentiment unanswered now could she? So as she seemed to take a few breaths she gauged the distance between the barrier she had previously erected around the rest of her people, and the epicenter of the blizzard. ”..I think that should be far enough to try this. she thought finally centered herself and resumed what she was going to say. Now the quincy had allowed herself to focus, and began to draw in reishi in bulk. Most quincy absorbed it at the rate they used it, which meant they didn’t have any in residue around them. However Niflheim exceeded that, and because of it as she truly began drawing in power it would start with the air turning a vibrant shade of blue, first simply doing so around them, but slowly as the markings changed on her body this would extend, the sky would tinge blue and eventually change to the purest of silvers, this tangible concentration of reishi would extend out to about a mile, within that range the concentration was dense enough that it had become fully visible, transparent but still easy to see. After she had done this the quincy glanced at the other and exhaled as she had ultimately bowed to her. Which while Niflheim appreciated the sentiment she had allowed her hand to rest against the girls shoulder drawing her up until they faced each other at an eye level. ”..I appreciate it, but i don’t see anyone as beneath me, and while it is a term of respect, there is no need to bow. Since every member of the vandenreich and every one that is protected by it is seen equal in my eyes, therefor treating me as your equal and comrade will suffice. Slowly the reishi would recede and disperse from around Niflheims body and she had pondered what the girl said about their two races, now that they had conversed, and the formalities had been out of the way, she was figuring out how her own people would take it. Most of them knew how open she was and accepting of those of the quincy race, and how opposed she was to shadowfall and the monsuta, however she didn’t quite know how they would react this time. But what she did know was they respected her enough to trust her decisions, and to see how they turned out. But as she thought about it she also found this invigorating in a way. All her careful planning, all her dreams seemed to be coming into shape, and because of it she mused that maybe they could use That Place. For now though as she walked into the wall of snow back towards the barrier she called over her shoulder. Now it was time for them to address the quincy and see how this was going to go over. It had been some time since Misa had been pushed to wear her mask. The voice inside of her wasn't as beastly as most other's were. She had full control of her powers and abilities. It was just the amount of power that was held with each different form that she could take on and her body's inability to hold this power. Such made it difficult for her to actually make use of these powers. Thus, she could only come to the first released form of the four that were allotted to her race. The power of the hollow within her was far too great for her body to handle, and this hindered her so. While she could potentially use these abilities, they would wear at her body so. She watched many Quincy lose themselves to their hollow spirits for trying to meddle too far in the depressing essence that the hollow spirit gave off. Even with her hollow being completely compliant to Misa's every demand, it was just the very essence of the hollow's spiritual power that was enough to change a Quincy to something inhuman. Without the proper strength to conserve this power she knew that she would lose herself and obliterate her being to the very power of their two unequal essences colliding and battling one another. It was inevitable, such was the reason that her powers were limited to a certain amount of time. Letting herself use the power of the hollow within her for too long would only lead to losing control of her body, whether her hollow wished it to be so or not. It was just nature and no amount of training could lead to anything different from happening, it was just how well one could deal with the friction between the powers. She could tell that the power that she had laid out for her soon-to-be leader had left her with little to say. Misa could remember the day that her mother had found her to have such an odd being around her. She'd be trapped in her own mind with nothing to be said on the matter, no hateful words or actions. All that she would be able to do is try to wrap her mind around how it was even possible. The essence of her spiritual pressure always left many dumbfounded and at a lack for words. It wouldn't take long for her mother to disapprove of this, however, drawing her bow and aiming it to the girl. Thus, Misa was forced to leave not wishing to fight her mother. It was the way the Quincy once thought that led her mother to come to such actions. Despite Misa being her daughter she still wished to eliminate her as though she were her enemy by default. This was yet another reason she wished to form an alliance with the Quincy and change the way they thought of her kind. It seemed as though she had come close to accomplishing this goal. It would be only a matter of time before she would be able to display their race to the entirety of the Quincy and show that they were a friend and not foe. That the Hohl's sharing of their enemy's blood would not bring them to be their enemy just by default. The fact that the Misa had never brought her own name up was a precaution that she had set, as her last name seemed to carry some weight with it. Her, however many greats, aunt was an all powerful Arrancar that was well known for her acts of the Shinigami and her assistance within the Espada. As such, she wouldn't bring it up until she knew for sure that she was not to be seen as an enemy to this woman she had studied for so long. With the mention of a title and the agreement to join Niflheim at her side, Misa would feel as though she was comfortable with giving out such information. It was humble, yet foolish, of Niflheim to have proceeded with all of this without even knowing such. "Harribel, Misa. Before it is asked: yes, I am kin to Tia Harribel. We share the same bloodline and she is to thank in the long run off me becoming the ambassador of my people. She bestowed me with these powers and it has been a blessing in the stretch of things, despite it being a curse essentially. Pray, this doesn't cause any sort of ill thoughts or intentions. My offer is pure." She'd press before the woman would begin to display her power. Her words would carry through swiftly before things began to pick up, a brewing of Niflheim's power came to be displayed in return to Misa's. It was during this time that she would fall to her knee and bow before her leader as it only seemed fitting to do so. However, as the display of power came to an end, she would be brought up to an equal stance with her leader. She wished to see Misa as an equal, despite their unequal ranks. It was admirable, but it wasn't something that Misa saw as wise. Sure democracy worked for some, but for a race that had such a strong mindset that required change, it was not smart, exactly. As it would take swift acts of a dictator to force this change of mind and opinion. Consequences would have to be set for those that fell out of line, but perhaps the woman would prove Misa wrong as she had been so many times before. Not much longer, the woman would begin to the lead the two back. Suggesting that Misa should stick to her side like glue if as things were to be a mess when they returned. This was something that she knew. She knew that once they were to get a whiff of what she was made up of that they would immediately turn sour toward her. However, she knew how to deal with those that got out of line. With the new rank that she had just been given with their alliance, she would be sure to let it be known that she wasn't as forgiving as her leader was. "You have your way of dealing with things, let me deal with things how as I do as well." When the two would return to the base she could feel the piercing and judgemental stares of the two as Misa walked a few paces behind and to the right of her leader. She'd follow her to wherever they were to go and remain silent as the alliance was announced. If anyone were to approach her or try to lay a hand on her, she'd quickly summon her spiritual weapon. Displaying the brilliant, gold weapon that acted as an extension of her arm. As the weapon was summoned it would make a series of loud mechanical noises as it shifted into it's much larger third phase. She'd press the muzzle of the weapon into the forehead of the one that wished to act out upon her. The moment the mechanical sounds would come to a halt a screeching would emit and as the turbines and other fixtures began to work in order to create the small and highly dense attack. By the time this all happened it would be likely that they would back down and she would lower her weapon and carry on with her walk, a smirk raising her right cheek as she huffed in disappoint. 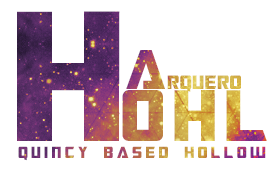 Today would be a pivotal day for not just the Hohl Arquero, but the Quincy as well. While Misa and Niflheim meant well with this alliance, she could only imagine the amount of hatred that she was to face in the future working alongside the close-minded race known as the Quincy. Very little in this world was left that could surprise the elect however, this was one of those days where so much happens, so much changes. Everything is shown in a new light, and each new thing left her with very little choice other than to take it into stride. Tia harribel, was undoubtedly among the strongest of arrancar. A being whose power was in a way completely unfathomable in it’s own regards. So in a way it made sense, that such a strong hybrid being would be of her bloodline. Didn’t make it any less hard for Niflhim not to cringe at the thought. Only the purest of intentions kept her facial expression smooth as glass, the shell she had erected for so long protecting their fragile alliance. A face was many things after all, and it was judged more heavily than anything else in the world in her opinion. Did you greet family you hadn’t seen in awhile with a frown? No, you greeted them with a smile and a hug. She was in many ways one of the eldest of her race, and because of it she would protect them. So yes the changes would be apparent to Misa, the way her casual posture began to become pristine, the way her steps had shortened and become concise. The glow in her eyes would harden until it shone like platinum, her chin straight and her back poised. This was the face she showed her people beyond the compassion, beyond the love that she felt for them, a love that knew no bounds. It spoke of strength, and of dignity, of fairness yet sternness. It was this queen that was known as the shell, the hardened exterior of iron will, and unbreakable spirit. This was the face that had thus far led the quincy from the shadows after everything fell apart. She had to be strong after all, because she couldn’t afford to be anything else in such a serious situation as the one that would transpire when they returned. The stares of her people had been varying once they returned. Some didn’t seem to be bothered that something so different from their beliefs stood right in front of their eyes. Others had looks of contempt, or thinly veiled disgust. She knew it would be like this, but it hurt her heart all the same. To see how her people, the people she cared for, being so horrid. In fact she’d swallow, her lashes slanting and casting shadows across her eyes before she gathered her strength. Gathered herself and then drew all the reasons she took this position forth and addressed the crowd. ”..This may come as a shock however, i have decided to ally with these hollowed quincy and accept those who share our blood. They are different, however they are also in many ways just like us. Every person deserves a home, which is why i wish for you to accept them, even if it’s hard. Do not be petty and cruel. I cannot ask of you to do so from the bottom of your hearts, but i will ask of you, show them why once we could be considered proud, and could be considered kind, and fair. This is both a request, and is at the same time my word. I need not remind everyone that each of you is important, but i will not tolerate any under the banner that we have upheld to treat them as anything other than comrades. You do not need to go out of your way to accept them, but do not go out of your way to deny them. That is all. Some people nodded as if this made sense, other spat on the ground and growled. However she knew they respected her enough that none of them would betray her. They wouldn’t disappoint, other than the few that Misa had dealt with, the rest would simply stand at attention and wait. A few even would come and welcome Misa into the vandenreich not knowing her rank, however Niflheim was not done, hence as they quieted down once more she exhaled and spoke. With that said? The quincy would move as one, rapidly towards the ocean, towards the future.